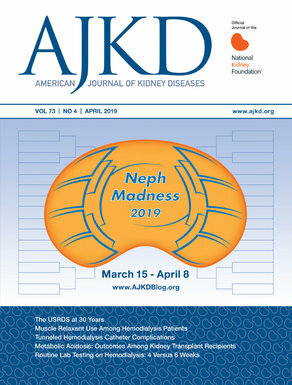 UMOD & MUC1 Nephropathy were unknowns before the start of NephMadness, but now find themselves in the sweet 16. What a year. The last few years have seen a major change in the classification of these once obscure diseases. The next 10 years will likely see even more mutations identified which lead to kidney disease. While Team Epigenetics holds a lot of promise. This future is not now. It is clear that breakthroughs in epigenetic research are right on the horizon. One of the blue-ribbon panel members commented on epigenetics: “even though I don’t really understand it, I have feeling that epigenetics is going to be a big deal one day.” That about sums it up. Still a close match with the victory going to AD TIN. Next up, a much larger task of taking down the powerhouse and undefeated APOL1 (the Kentucky of NephMadness ‘15). Even though APOL1 is having a fantastic year, they had a tough time against Team Next Generation Sequencing. The original paper describing APOL1 in kidney disease appeared in Science in 2010 and has already been cited ~500 times (giving it an impact factor of ~100! wow). Truly a juggernaut in the nephrology literature world. However, we are still awaiting interventions or true clinical translation. Maybe, this is why APOL1 had so much trouble getting by Team Next Generation Sequencing. Even with the tough match this is what one panel member said: “APOL1 is nobel prize material, enough said.” The genetics region looks like it is emerging to lead Nephrology forward, a true #NephForward. These guys are staying in school for 4 years.